If you’re a fan of Pinterest then you’ll be pleased to discover that eBay is revamping its UK website so that it includes a range of new features that will compete with other websites such as Pinterest and Etsy. 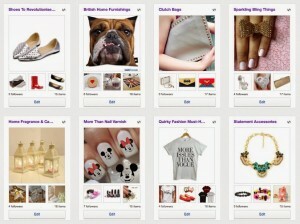 If you’ve never heard of Pinterest you may be wondering what I’m on about. Pinterest is a pin board-style photo-sharing website which is incredibly popular, boasting over 70 million users, 80 per cent of whom are women. And before you sneer, gents, that it’s a woman’s thing … think about just WHO is buying your goods. Women are THE consumers extraordinaire and you want and need to appeal to them as much as possible. To address the popularity of Pinterest eBay is introducing a new eBay ‘Collections’ feature in the UK, which has been available in the US since the end of last year. The eBay Collections feature will allow users to handpick items from eBay and display them in groups or themes to create “visual stories” or mood boards. They’re basically online scrap books of things that you like – but unlike scrapbooks they are designed to be consumed publicly, meaning that other people may love what you “collect” and you could suddenly find yourself a trendsetter or “cool hunter’ as they’re known in media circles. 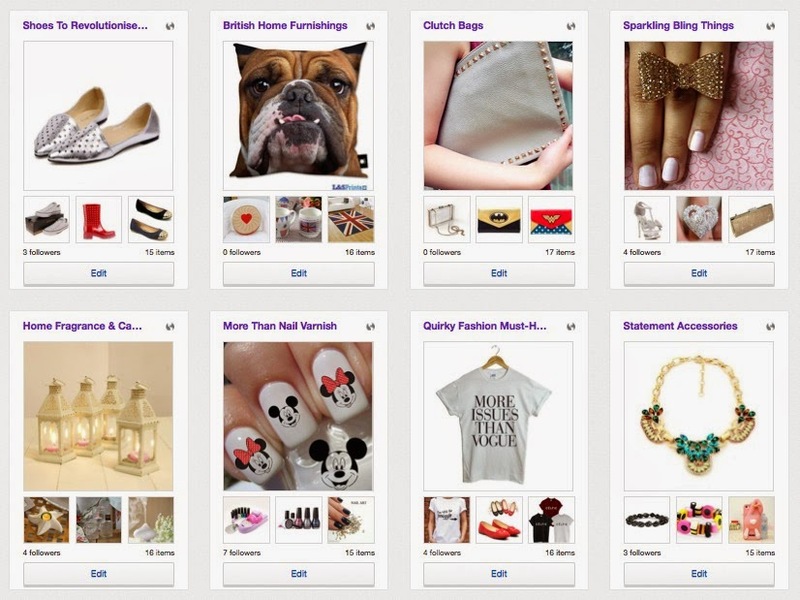 eBay Collections can be used like a mood board. If you’re putting an outfit together you can bring together the individual items of clothing you’ve found on eBay, along with accessories, bags, hats and shoes and see what they look like altogether. If you lack inspiration yourself then it is easy enough to simply follow other buyers and sellers. You get to look at their scrapbook – their eBay Collections – and see what you’d like to buy from what they’ve liked. eBay suggest that the experience is “both fun and functional” and puts shoppers in the driving seat, allowing them to “follow their passions” according to Sarah Calcott, the UK Senior Marketing Director of eBay. 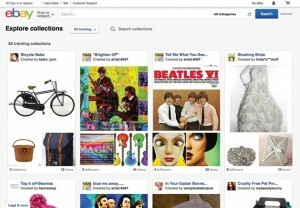 What makes eBay Collections different from Pinterest is that you can have them! Ebay Collections ensure that all of the items are on eBay and they will be available to buy. The photos are big and bold and attractive so eBay Collections will be great to look at. The latest trendy thing! So cool and trendy in fact that eBay has employed 200 celebrities to start their own eBay Collections that we mere mortals are able to follow (think Pharrell Williams, Danni Minogue etc.). 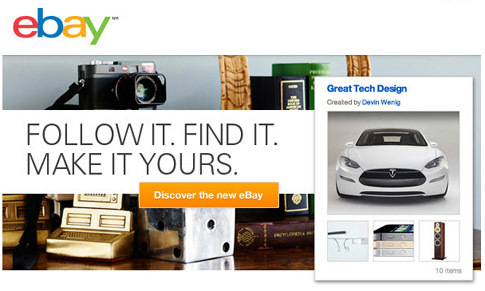 All eBay users can add items to their own list with one or two clicks of a button. You simply click the ‘Add to Collection’ link and you’ll be asked to choose from a board you’ve started or start a new one. Simple! You then have to write a sentence or two about the item saying why you love it or why it’s useful etc. etc. Then someone else can click on your collection and expand on an item, or add to their collection, or watch the item or buy it. And of course in this day and age, all of these processes can be shared on other social media. Everything you could possibly want to buy at the touch of a button. According to eBay promotional material, eBay buyers will benefit from eBay Collections because “The more you follow, the more great items you will see in your feed — a feature that inspires discovery every day”. The eBay buyer can follow collections, members and interests and if anything catches their eye it is instantly shoppable. The page refreshes daily so there is always something new to find. Why does this benefit you as a seller? According to the eBay bumf that accompanies the details about eBay Collections, “more and more buyers are looking online to get ideas, advice, and recommendations from sources they trust—whether those sources are sellers, experts, trendsetters, or friends” so that includes you guys as SME, small business sellers. You can use the eBay Collections feature to offer advice or make recommendations and by ensuring that your Collection is inspiring and engaging you should be able to attract new customers and buyers. Find it and make it yours! 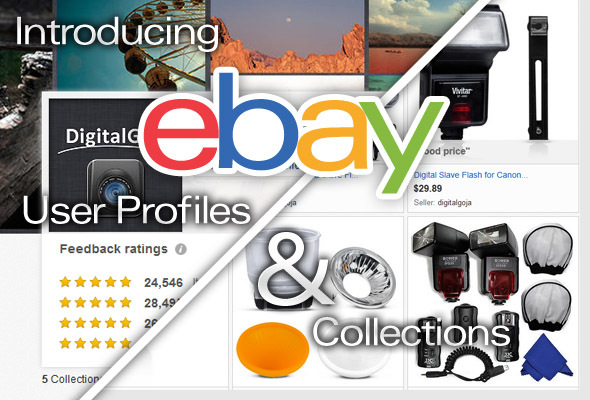 eBay describe the eBay Collections tool as a powerful tool that allows sellers to tap into buyers, promote their inventory, and expand their sales. The better at it you are, the more likely you’ll be to make it onto the homepage! Fortunately you’ll get a head start if you’ve already been selling well on eBay. Buyers who have already saved you as a favourite seller automatically become your followers. You can cultivate new followers by sharing your eBay Collections online on social media such as Facebook and Twitter. You need a collection that is so cool that other sellers will include your items in their collections. You can help this process along by following other Collections and try and gain yourself some followers. If you can get a celebrity interested in one of your products you’ll be global before you know it! As a seller you do not have to make any changes but if you utilise eBay Collections you may find that it has a number of opportunities to increase your sales. eBay Collections will be a built-in and powerful marketing tool that helps you to promote your inventory, win new customers, and inspire buyer loyalty. You are likely to be connected to new buyers who are genuinely interested in your products. Once a buyer follows one of your collections, they will see in their eBay feed, any updates you make to the collection they follow. They will see comments left by others and new updates to your collection. You are able to customize what is visible to your followers. Buyers can follow up to 100 collections, up to 100 searches and up to 100 members. From now on the ‘Save this seller’ option has changed to a ‘Follow this seller’ option. eBay will recommend eBay members, eBay collections or interests to follow based on a number of factors. This will primarily be based on a user’s interests, and their past activity on eBay. As a seller, the more followers that you or your collections have—and the more active you are—the more likely you are to be recommended by eBay. eBay Collections has been optimized for viewing on mobile tablet devices although it is not currently available on eBay’s mobile app or on mobile-optimized eBay pages unless you select the “Classic site” option located at the bottom of the home page. You should ensure that you engage potential buyers by creating a new personalized profile that shows off your unique taste. This will help to spread your influence, and your profile will show up on your followers’ pages and may then be followed by their followers etc. Ever expanding circles of followers means a huge number of potential buyers! Stand out from the crowd and create a collection others really want to follow. Create inspiring and engaging collections of products to attract buyers who can purchase items right from your collections. To expand your reach, the items in your collections may even be featured in other members’ collections. eBay Collections will be of particular benefit for those who specialize in certain areas. If you sell a little of everything, then people may be interested in one thing but then who click through to shop your other items. But if you specialize, for example in footwear, the shoe fetishist will click through to your other items and stay in your shop for longer.